with other fungi and bacteria. Changes in the seasonal pattern of fruiting in the UK can be detected from field records made in the last 50 years, and while not all species behave in the same way, mean first fruiting date is now significantly earlier and mean last fruiting date is now significantly later, which results in an extended fruiting season. Significant numbers of species that previously only fruited in autumn now also fruit in spring. Such analyses show that relatively simple field observations of fungi can detect climate change, and that fungal responses are sufficiently sensitive to react to the climate change that has already occurred by adapting their pattern of development. Unfortunately, though it is possible to deduce the decisive steps in development that are open to influence, the molecular controls that normally regulate those steps remain unknown. 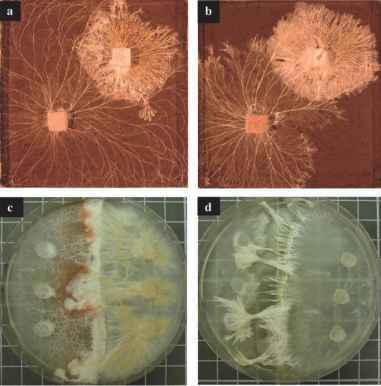 Extensive genomic analysis shows that sequences crucial to multicellular development in animals or plants do not occur in fungal genomes, so we are ignorant of the basic control processes of fungal multicellular developmental biology.